Monstercraft initially only supported the normal and Retina Display resolutions of the iPhone. When played on the iPad, you can run the small 480×320 version or have it do an automatic 2x scale which makes things blurry and loses the nice sharp detail. The game that eventually mutated into Monstercraft was first targeting Xbox360 when development started in 2008. We’ll go into the nitty gritty in a future post, but for now we’ll focus on the final few months of development. Sometime around spring/summer of 2010 after Windows Phone 7 was announced, I decided to switch the focus to touch based input with the plans of supporting WP7, iOS and possibly other touch devices. I took what I learned from porting Zombie Outhouse between the various platforms and created a system that would automatically scale the game to the various resolutions. Specifically, the supported resolutions were 480×320 for original iOS, 960×640 for iOS Retina Display devices (iPhone 4 and iPod Touch 4G) and an in-between resolution of 720×480 for Windows Phone 7. The WP7 resolution is perfectly in between the two iOS resolutions. 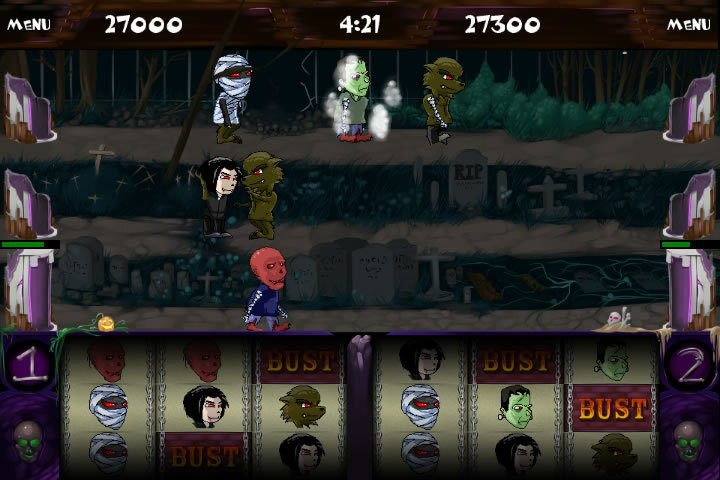 Monstercraft is an ultra-casual arcade strategy game available for Windows Phone 7 and iOS (iPhone, iPod Touch, iPad). You craft monsters using a skill based slot machine mechanic. You control when the reels stop and start so it’s not a game based on luck, although luck can sure help. 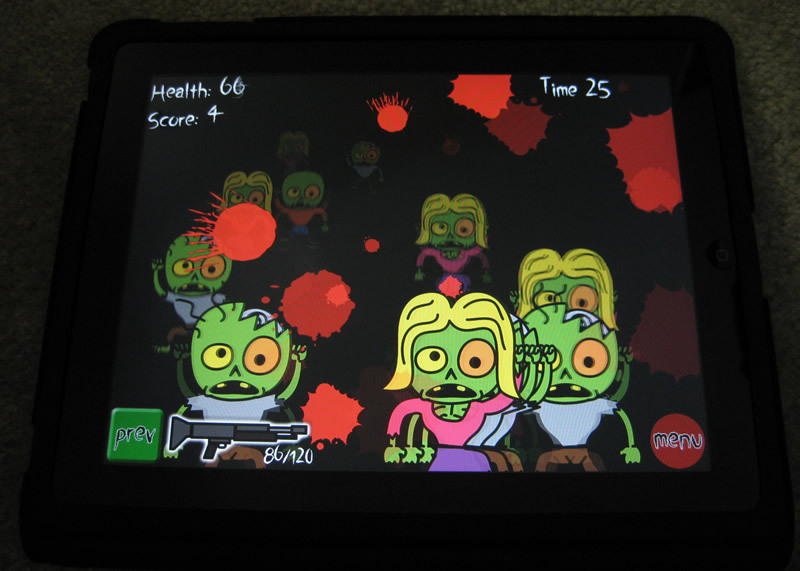 Zombie Outhouse Development Part 6: To the iPad and beyond! Soon after the iPad came out, I wanted to upgrade Zombie Outhouse to add native iPad support using the higher resolution art that was used in the Xbox 360 version. But luckily [really? ], I got sidetracked with the Cyborg Mice web comic. A few months later, Apple announced the iPhone 4 with its high resolution Retina Display. Believe it or not, this actually would make the porting job a much easier task.